​When we pray, God hears us - we’re starting a conversation with the creator of the universe. When we pray, we partner with God to seek His kingdom. This is for those of you who love to pray; who pray routinely and who would like some daily guidance on what areas of St James' family life to pray for. We update these daily prompts every month to ensure that your prayers are focused on areas that are current and in need of prayer. 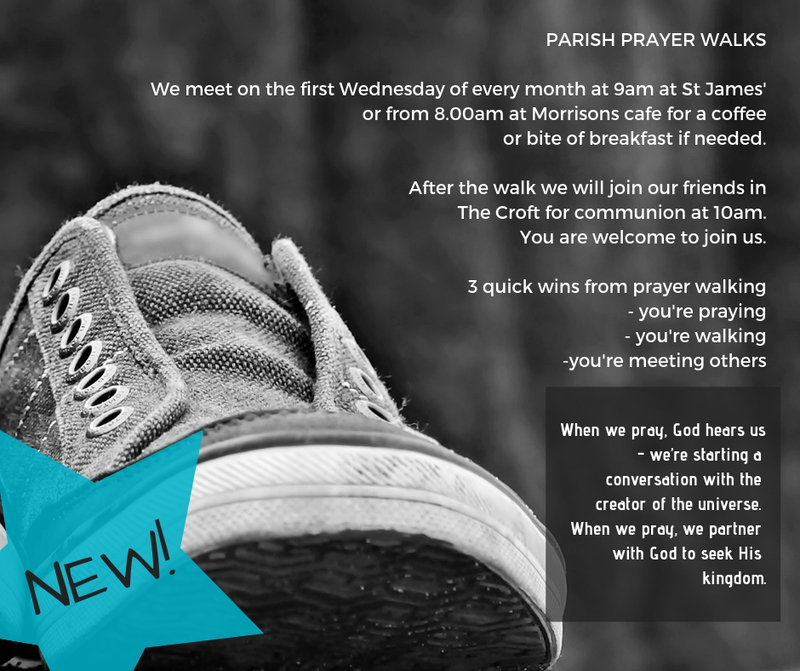 We believe that prayer is a two-way exchange (though rarely is it as easy as chatting to a friend over coffee), and that God responds to our prayers. So, if you, whilst praying through these daily prompts, receive something that you feel is from God and needs to be shared, send Keith an email. Bishops Emanuel Murye and Joseph Aba and their wives. For the peace agreement to hold and security improved so that refugees may be able to go home safely and plant crops. Our MP and Wiltshire & town councillors, and decisions about the town taking over more duties. Voluntary organisations in the town, including Alzheimer’s Support, AgeUK, Julia’s House and all the charity shops and volunteers. The Lunch Club at Devizes School and the Crammer Café. St James’ youth activities. 10-10 and 20-20, Rollercoasters and Impact. The heads and staff of all our local schools. Families with disabled children and children with special needs. The plans for the use of the old school building - for wisdom and vision to make this a blessing to the local area. Sufficient funds to enable the improvements to take place. All the members of the Community Hub steering group. Our clergy, Keith, Steve, Jennifer & curate-to-be Richard and their families. The work of the Church Office. All who clean the church, the flower arrangers, those who look after the church linen. The sidespeople, welcomers and servers of refreshments. The choir, organist and music group. For newcomers to St James’ to have a warm welcome. Those who read lessons and lead prayers.